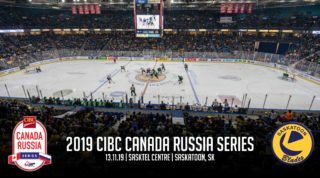 The Saskatoon Blades will enjoy home-ice advantage in Round One of the 2019 Western Hockey League Playoffs against the Moose Jaw Warriors. 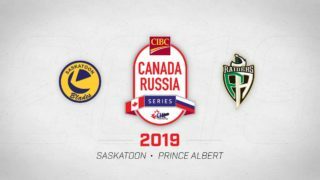 Moose Jaw became the 12th team to clinch a spot in the 2019 WHL Playoffs Friday, beating the Regina Pats 3-1, which confirmed the matchup between the two sides. The Saskatoon Blades guaranteed themselves a spot in the post-season February 23 with a 4-3 shootout win against the Kootenay ICE at home. Through five games of the season series between the two clubs, the Blades have a 4-1-0-0 record with all five games settled in regulation. 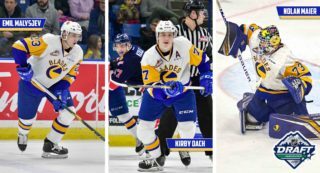 Making their return to the playoff for the first time since the 2012-13 season, the Blades have taken a major step forward this year, ranking second in the division. Defenceman Dawson Davidson leads the Blades and all WHL defencemen with 71 points (11G-60A) while the offensive contributions of Max Gerlach and Gary Haden have also been well received. Both Blades’ goaltenders have recorded a pair of wins against the Warriors this season. Nolan Maier has a 2.01 goals-against-average while Dorrin Luding has a 2.50 GAA. Maier also has a .918 save percentage against Moose Jaw while Luding sports a respectable .912 SV%. One of the season’s best young stories is that of Warriors’ rookie Brayden Tracey. The Calgary, Alta. product has been a force with 77 points (33G-44A) in 63 games to lead all rookies in the entire Canadian Hockey League. He’s also ranked 73rd by NHL Central Scouting ahead of the 2019 NHL Draft. Ranking second and fourth in WHL scoring, Tristin Langan and Justin Almeida (Pittsburgh Penguins) will be offensive threats worth keeping an eye on throughout the series. Goaltender Brodan Salmond has the lone victory for Moose Jaw against the Blades this season with a 3-2 win in Saskatoon on December 7, 2018. 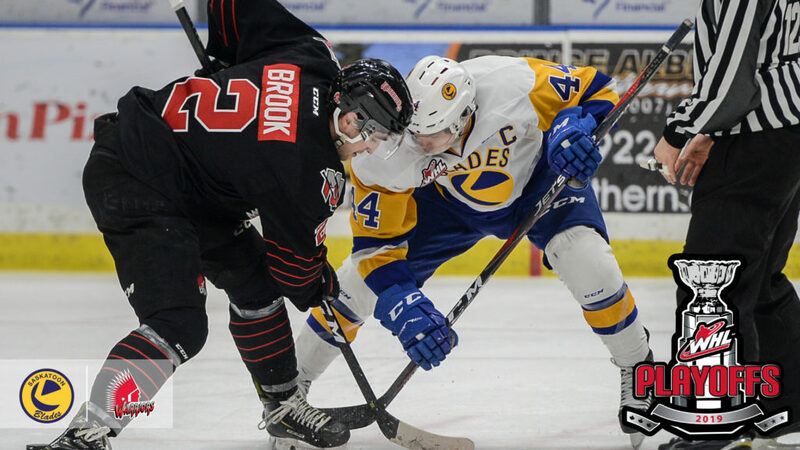 Before beginning their playoff series, the Warriors will head north to face the Blades Sunday, March 10 (4:00 p.m. MT) in the final meeting of the regular season. 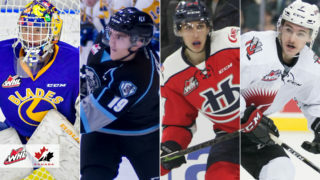 2019 NHL Draft prospect Kirby Dach and Warriors’ forward Tristin Langan are tied for the lead in scoring during the season series between the two clubs with seven-points each. Dach has a pair of goals and five points in five games while Langan has four goals and three assists in four games. Almeida is the next-best scorer from either side with six points (2G-4A). 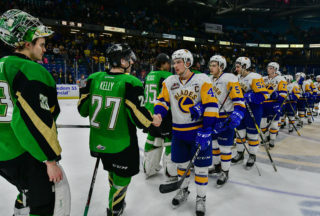 Beginning Friday, March 22 (7:00 p.m. MT), the Blades and Warriors will meet in Game One of their series at the SaskTel Centre in Saskatoon, Sask.